Java 'n More: NB7.3.1 and GF4.0 --- How to Get JavaDB Work? NB7.3.1 and GF4.0 --- How to Get JavaDB Work? 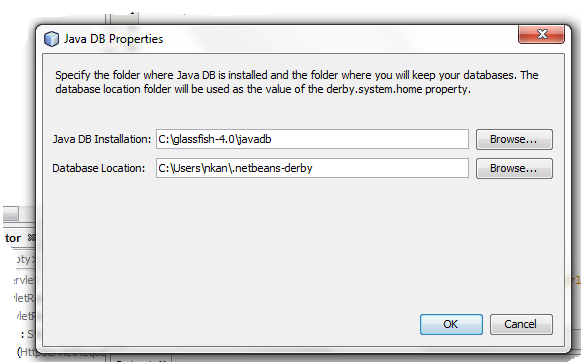 I installed NetBeans 7.3.1 with GlassFish 4.0 on Windows 7 platform. Wrote web Application and as I try deploying , it gave two problems. 1. I could not start Java DB(Derby Database). I had previous install at a different location, that was one reason. Java DB start option was disabled. 2. GlassFish Server did not start, error message "GlassFish Server 4.0 cannot start port is occupied" was displayed in error dialog box. Start the Server... Enjoy !! !